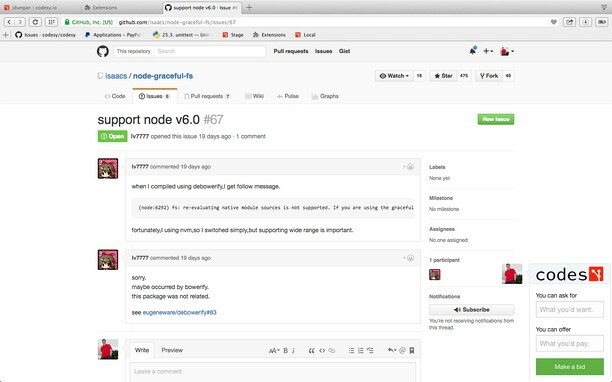 Codesy allows open source devs to tip each other for fixing bugs. Sign up to use codesy at https://codesy.io. -How much can you offer for someone else to fix it? -How much would you ask to fix it yourself? 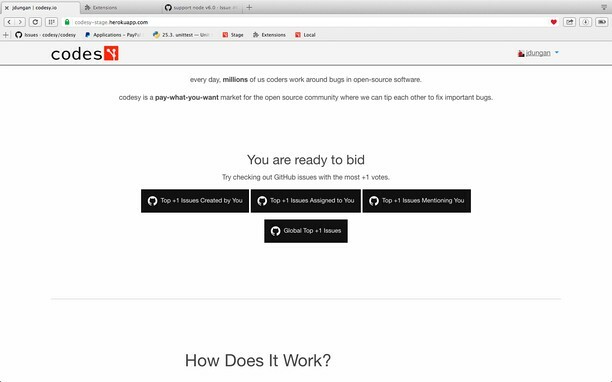 Codesy collect the bids and when an ask amount is met the developer gets notified. Once the developer fixes the bug they can claim the payout. When all the other bidders vote to approve the claim the developer receives their payout.